Hatfield Marine Science Center has a history going back as far as the early 1900s. It has grown and evolved from a small, one-building fisheries laboratory into a 40-acre collaborative campus represented by Oregon State University and many state and national departments and agencies. The directors and founders of Hatfield Marine Science Center have expanded and improved the center beyond imagination since its opening in 1965. The center owes much of its growth and expansion to the vision and hard work of each of its directors and founders. Here you will find historical documents of the Hatfield Marine Science Center as well as information about each of the directors, founders, and early influencers of HMSC. Standing on their shoulders, we are also looking to the future with OSU's Marine Studies Initiative, blending the natural and social sciences through innovative curriculum development and interdisciplinary research. 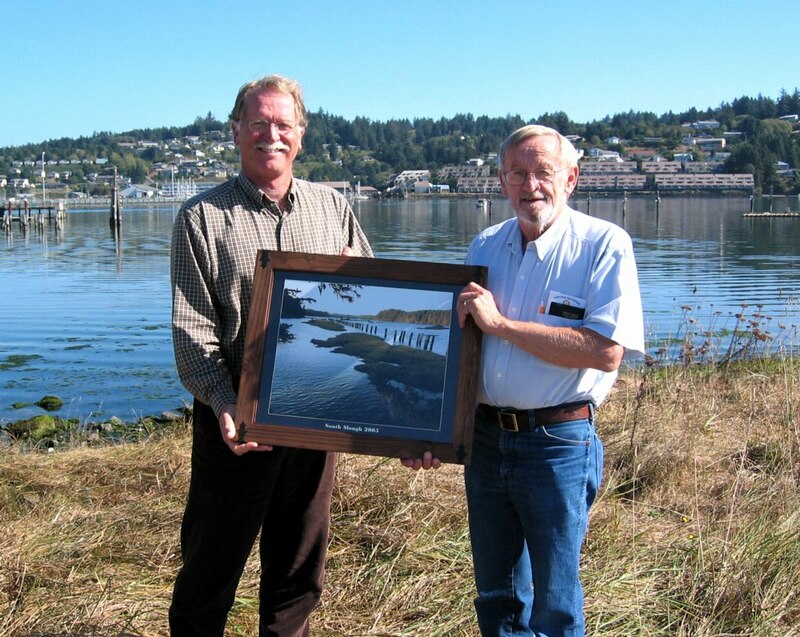 Hatfield Marine Science Center celebrated its 50th anniversary in 2015 - see hmsc.oregonstate.edu/50th-anniversary-hmsc. A blog highlighting HMSC history features a Photo of the Week and highlights 50th Anniversary events. Hatfield Marine Science Center was named in honor of Senator Mark O. Hatfield. Learn more about him from Willamette University's Mark O. Hatfield Library.